This photograph has been scaled down; full resolution photograph is available here (921 by 764 pixels). 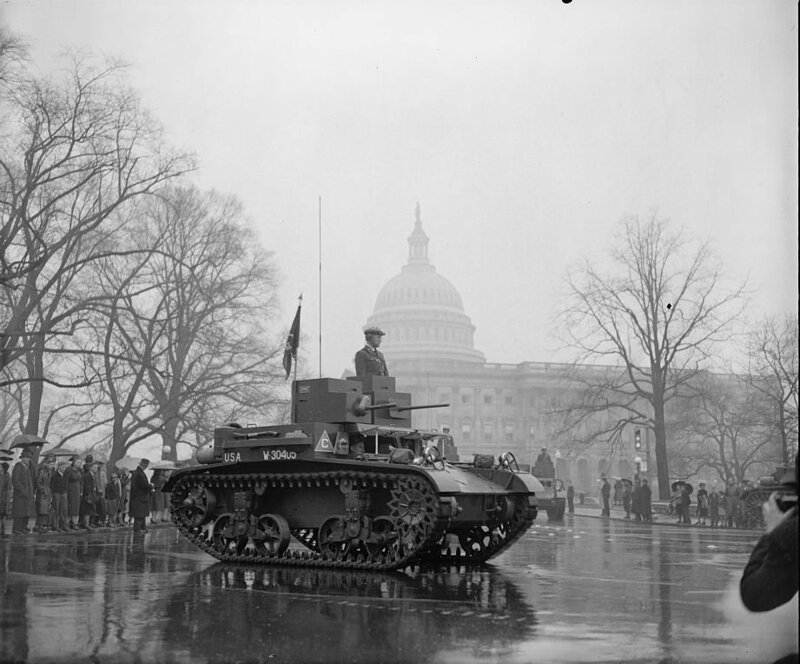 I am almost certain that the light tank being used by General Patton during his pioneer armored maneuvers in Tennessee was an M2 light tank variant of some type, but I cannot identify it. It had a SINGLE turret with TWO machine guns. This seems to be the same tank he was using when Time Magazine photographed him for their July 7, 1941 issue. I can't get any response from the Patton Museum in Fort Knox concerning Patton's command tank in Manchester, TN in 1941, which really is frustrating. I hope you can help! Thanks!